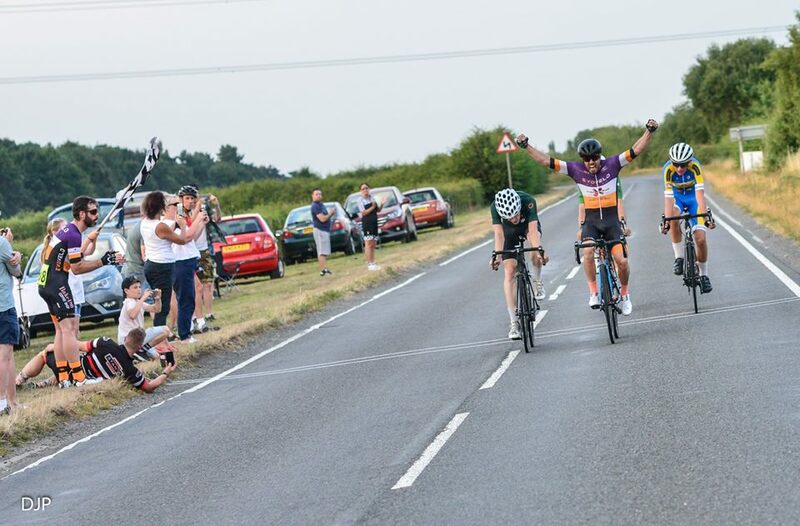 Daniel Butlin (EvoVelo Karbona) sprinted out of a four-man breakaway to clinch victory on the night in the final round of the Shropshire and South Staffordshire Road Race League. 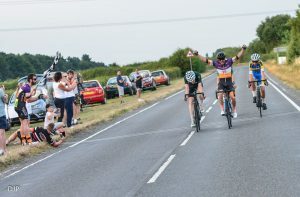 The 33-year-old, from Birmingham, took a narrow sprint victory in the fast run in as the breakaway kept their 25 seconds gap over a charging bunch on the flat Charlton circuit. It was the second week in a row where the scratch riders were outdone by the earlier groups in the handicap format. A group of four competed the sprint finish and Butlin just piped Timothy Jones (University of Nottingham CC) for the victory with local rider Alfie Mortimer (Mid Shropshire Wheelers) took third from Ben Lloyd (Pro Vision Race Team). The scratch riders were led home by former race winner Ben Manfield-Yorke (Morvelo Basso RT) but he had to settle for fifth on this occasion. The winning breakaway meant that Kirk Vickers (Rhino Velo Race Team) didn’t have to compete the finish to seal the overall series victory with Ben Joughin (Pro Vision Race Team) finishing sixth on the night for second overall. George Mills-Keeling (Pro Vision Race Team) sealed the overall juniors victory, Philip Glaze (Stourbridge CC) top veteran and Amanda Whitehouse (Stourbridge CC) first woman.